^ Olusoga, David (July 11, 2015). "The History of British Slave Ownership has been Buried". The Guardian. ^ Stephen, Graham (2010-05-31). "Gladstone Rock, Watkin Path, Snowdon". GeoTopoi. Retrieved 2016-10-31. ^ "Old National University of Athens". www.athens-greece.us. Retrieved 2018-01-26. ^ "William Gladstone | Tom Murphy – Liverpool Sculptor". Retrieved 2019-01-30. Shut, M.L. (2008). 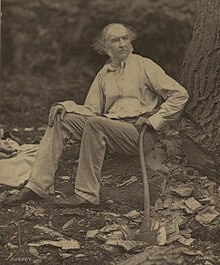 "Gladstone, William Ewart (1809–1898)". In Hamowy, Ronald. The Encyclopedia of Libertarianism. The Encyclopedia of Libertarianism. Thousand Oaks, CA: SAGE; Cato Institute. pp. 206–07. doi:10.4135/9781412965811.n123. ISBN 978-1412965804. LCCN 2008009151. OCLC 750831024. Hugh Culling Eardley Childers was a British-Australian Liberal statesman of the nineteenth century. He is perhaps best known for his efforts at the Admiralty. 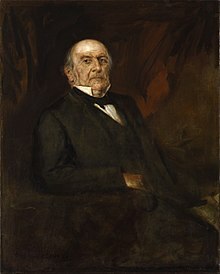 Later in his career, as Chancellor of the Exchequer, his attempt to correct a budget shortfall led to the fall of the Liberal government led by William Ewart Gladstone. 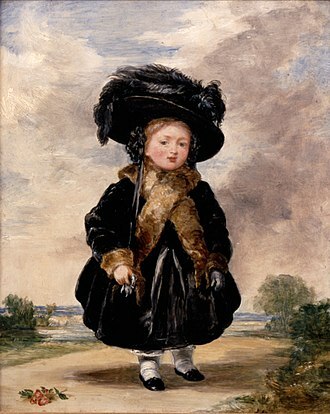 Childers was born in London, the son of Reverend Eardley Childers and his wife Maria Charlotte, sister of Sir Culling Eardley, 3rd Baronet and granddaughter of Sampson Eardley, 1st Baron Eardley. He was educated at Cheam School under Pestalozzi and both Wadham College and Trinity College, graduating B. A. from the latter in 1850, influential on his intellectual development was Adam Smiths theories of free trade, and capital returns. Childers decided to seek a career in Australia and on 26 October 1850 arrived in Melbourne, Childers joined the government of Victoria and served as Inspector of Denominational schools and immigration agent. In 1852 he became a director of the Melbourne, Mount Alexander, Childers became auditor-general on 26 October 1852 and was nominated to the Victorian Legislative Council. 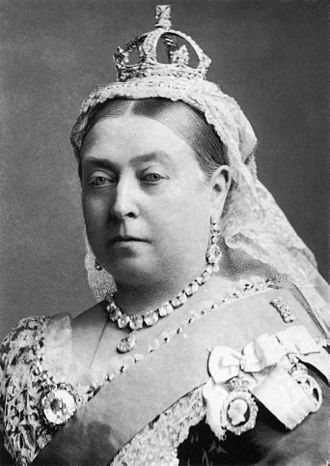 In 1852 he placed a bill before the state legislature proposing the establishment of a university for Victoria. With the receipt of the Royal Assent in 1853, the University of Melbourne was founded, Childers was Collector of Customs from 5 Dec 1853 to 28 November 1855 and Commissioner of Trade & Customs 28 November 1855 to 25 February 1857. Childers was elected to the inaugural Victorian Legislative Assembly for Portland in November 1856, Childers retained the vice-chancellorship until his return to Britain in March 1857 and received a M. A. from Cambridge the same year. With the election of Gladstones government in December 1868 he rose to greater prominence, Childers had a reputation for being hardworking, but inept and notoriously overbearing in his dealing with colleagues. He got the naval estimates just below the important figure of £10,000,000. Initially Childers had the support of the influential Controller of the Navy and his re-organisation of the Admiralty was unpopular and poorly done. The Peelites were a breakaway faction of the British Conservative Party, existing from 1846 to 1859, who joined with the Whigs and Radicals to form the Liberal Party. They were called Peelites because they were led by Sir Robert Peel. The Peelites were characterised by commitment to trade and a managerial, almost technocratic. 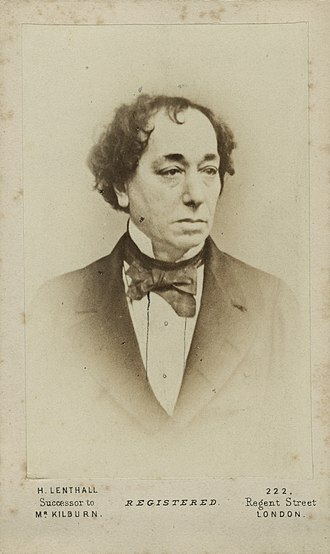 The Peelites were often called the Liberal Conservatives, in contrast to Protectionist Conservatives led by Benjamin Disraeli and Edward Smith-Stanley, in 1845, facing a serious famine in Ireland, Peel sought to lower food prices by repealing the Corn Laws. Their main political positions at that time were closer to the Protectionist Conservatives than to the Whigs and Radicals in parliament, except on the issue of Free Trade. After Peels death in 1850, the Peelite faction was led by Sir James Graham and Lord Aberdeen and this government fell in 1855 as a result of the unpopularity of its hesitant attitude during the Crimean War. After the fall of the Aberdeen government, the Peelite faction took most of the blame for their management of the war in the Crimea, in the 1857 election their numbers further decreased to around 26. He was the last prime minister to head his full administration from the House of Lords. 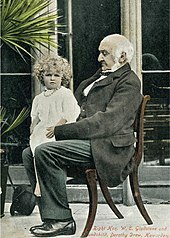 In 1868 upon the death of his father, Cecil was elevated to the House of Lords and he became prime minister in June 1885 when the Liberal leader William Ewart Gladstone resigned, and held the office until January 1886. 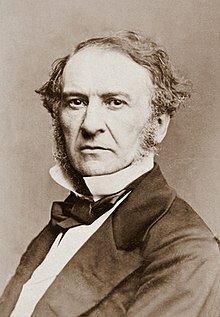 When Gladstone came out in favour of Home Rule for Ireland, Salisbury opposed him and formed an alliance with the breakaway Liberal Unionists and he died a year later, in 1903. Historians agree that Salisbury was a strong and effective leader in foreign affairs, Paul Smith characterises his personality as deeply neurotic, agitated, fearful of change and loss of control, and self-effacing but capable of extraordinary competitiveness. A representative of the aristocracy, he held the reactionary credo, Whatever happens will be for the worse. Lord Robert Cecil was the son of James Gascoyne-Cecil, 2nd Marquess of Salisbury. He was a descendant of Lord Burghley and the 1st Earl of Salisbury. 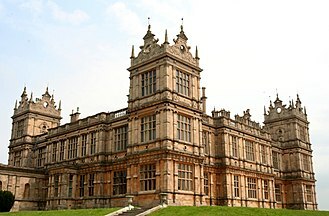 The family owned vast rural estates in Hertfordshire and Dorset and this wealth increased sharply in 1821, when he married the rich heiress of a merchant prince who had bought up large estates in Essex and Lancashire. Robert had a childhood, with few friends, he filled his time with reading. He was bullied unmercifully at the schools he attended, in 1840, he went to Eton College, where he did well in French, German and Theology, however, he left in 1845 because of intense bullying. The unhappy schooling shaped his outlook on life and his negative views on democracy. He decided that most people were cowardly and cruel, and that the mob would run roughshod over sensitive individuals, in December 1847 he went to Christ Church, where he received an honorary fourth class in mathematics conferred by noblemans privilege due to ill health. 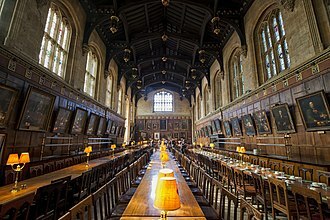 Whilst at Oxford he found the Oxford movement or Tractarianism to be an intoxicating force, in April 1850 he joined Lincolns Inn but subsequently did not enjoy law. 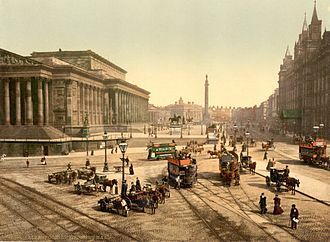 His doctor advised him to travel for his health, and so in July 1851 to May 1853 Cecil travelled through Cape Colony, including Tasmania, and New Zealand. He found the Kaffirs a fine set of men – whose language bears traces of a very high former civilisation and they were an intellectual race, with great firmness and fixedness of will but horribly immoral as they lacked theism. Sir Charles Tilston Bright was a British electrical engineer who oversaw the laying of the first transatlantic telegraph cable in 1858, for which work he was knighted. Born on 8 June 1832 in Wanstead, Bright was educated at Merchant Taylors School, at fifteen he became a clerk for the Electric Telegraph Company and as his talent for electrical engineering became evident, he was appointed engineer to the Magnetic Telegraph Company in 1852. In that role he supervised the laying of lines in the British Isles and this work, and the successful laying of other submarine cables, suggested to others that it might be possible to lay a cable across the Atlantic from Ireland to North America. Samuel Canning supported the effort on board HMS Agamemnon, Bright was knighted in Dublin just a few days later. Sir Charles Bright emerged from the debacle with his reputation intact and went on to supervise the laying of successful cables in the Mediterranean, the Persian Gulf. Bright formed a partnership with Josiah Latimer Clark in 1861 and together they introduced numerous improvements in the manufacture, testing, in 1865 he was awarded a Telford Medal for a paper on the possibilities of submarine cable telegraphy from England to China and Australia. Sir George Cornewall Lewis, 2nd Baronet PC was a British statesman and man of letters. 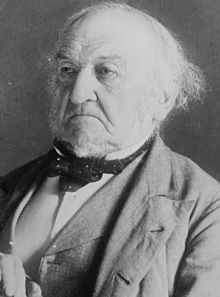 He is best known for preserving the peace in 1862 when the British cabinet debated intervention into the American Civil War, proponents such as Chancellor of the Exchequer William Gladstone, Foreign Minister Russell and Prime Minister Palmerston favored the Confederacy. They worried about the danger of an extremely bloody race war in the United States, Lewis was a strong opponent, warning that there were very high risks to British interests. His views finally prevailed and the British remained neutral throughout the Civil War and he was born in London, the son of Thomas Frankland Lewis of Harpton Court and his wife Harriet Cornewall. Thomas, after holding office in various administrations, became a poor-law commissioner. 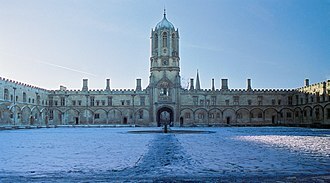 His maternal grandparents were Sir George Cornewall, 2nd Baronet and Catherine Cornewall, Lewis was educated at Eton College and at Christ Church, where in 1828 he earned a first-class in classics and a second-class in mathematics. He entered the Middle Temple, and was called to the bar in 1831, in 1833 he undertook his first public work as one of the commissioners to inquire into the condition of the poor Irish residents in the United Kingdom of Great Britain and Ireland. In 1834 Lord Althorp included him in the commission to inquire into the state of church property, during this period Lewiss mind was occupied with the study of language. Its successor was the Classical Museum which he supported by occasional contributions and he compiled a glossary of provincial words used in Herefordshire and the adjoining counties. But the most important work of earlier period was one to which his logical and philological tastes contributed. Moreover, he translated Philipp August Böckhs Public Economy of Athens and Mullers History of Greek Literature, some time afterward he edited a text of the Fables of Babrius. While his friend Abraham Hayward conducted the Law Magazine, he wrote in it frequently on such subjects as secondary punishments, one leading object of both commissioners was to associate the Maltese in the responsible government of the island. He was known before 1834 as Edward Stanley, and from 1834 to 1851 as Lord Stanley. 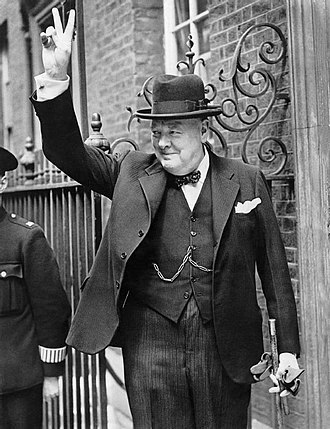 He is one of only four British Prime Ministers to have three or more separate periods in office, however his ministries all lasted less than two years, and totalled 3 years 280 days. 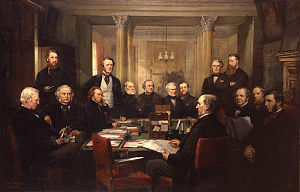 Historian Frances Walsh says it was, Derby who educated the party and acted as its strategist to pass the last great Whig measure, the 1867 Reform Act. It was his greatest achievement to create the modern Conservative Party in the framework of the Whig constitution, Stanley was born to Lord Stanley and his wife, Charlotte Margaret née Hornby, the daughter of the Reverend Geoffrey Hornby. The Stanleys were a long-established and very wealthy landowning family whose residence was Knowsley Hall in Lancashire. Stanley was educated at Eton College and at Christ Church, Oxford, in 1822 Edward Stanley, as he was then, was elected to Parliament in the rotten borough of Stockbridge as a Whig, the traditional party of his family. In 1824, however, he alienated his Whig colleagues by voting against Joseph Humes motion for an investigation into the Established Protestant Church of Ireland. When the Whigs returned to power in 1830, Stanley became Chief Secretary for Ireland in Lord Greys Government, as Chief Secretary Stanley pursued a series of coercive measures which frequently brought him into conflict with the Lord Lieutenant of Ireland, Lord Anglesey. 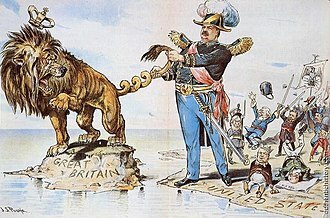 In 1833, Stanley moved up to the important position of Secretary of State for War. 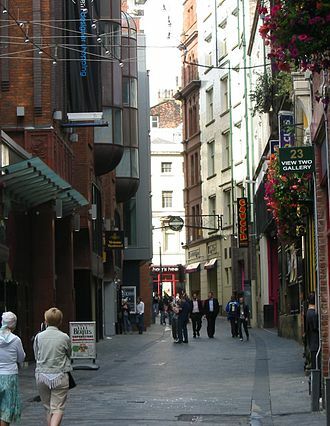 Stanley, a conservative Whig, broke with the ministry over the reform of the Church of Ireland in 1834, the term Derby Dilly was coined by Irish Nationalist leader Daniel OConnell. 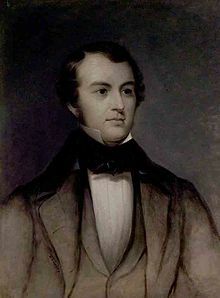 Joining the Conservatives, Stanley again served as Colonial Secretary in Sir Robert Peels second government in 1841, in 1844 he was summoned to the House of Lords as Lord Stanley of Bickerstaffe in his fathers Barony of Stanley by Writ of Acceleration. He broke with the Prime Minister again in 1845, this time over the repeal of the Corn Laws and he thereafter led the protectionist faction of the Conservative Party. In 1851 he succeeded his father as Earl of Derby, the party system was in a state of flux when the Conservatives left office in 1846, the outstanding issues being the question of Ireland and the unresolved franchise. Sir Robert Peel, 2nd Baronet, FRS, PC, a British statesman and member of the Conservative Party, served twice as Prime Minister of the United Kingdom and twice as Home Secretary. He is regarded as the father of modern British policing and as one of the founders of the modern Conservative Party and he entered the House of Commons in 1809 under the tutelage of his father and of Sir Arthur Wellesley, the future Duke of Wellington. Peel was widely seen as a star in the Conservative Party and served in various junior ministerial offices, becoming Chief Secretary for Ireland. He cut tariffs to stimulate trade, to replace the lost revenue he pushed through a 3% income tax and he played a central role in making free trade a reality and set up a modern banking system. In 1830 the Whigs finally returned to power and Peel became a member of the Opposition for the first time, Peel issued the Tamworth Manifesto, laying down the principles upon which the modern British Conservative Party is based. 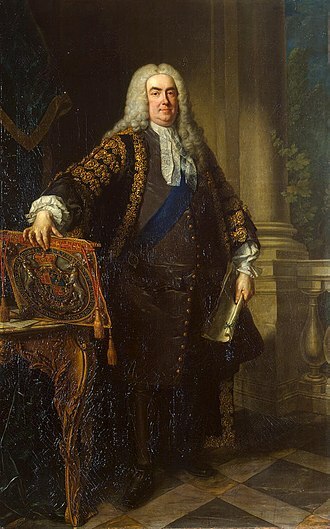 His first ministry was a minority government, dependent on Whig support, after only four months, his government collapsed and he served as Leader of the Opposition during the second government of the Viscount Melbourne. Peel declined to head another minority government in May 1839, prompting a political crisis and he finally became Prime Minister again after the 1841 general election. His second government ruled for five years - its major legislation included the Mines and Collieries Act 1842, the Income Tax Act 1842, the Factories Act 1844, Peels government was weakened by anti-Irish and anti-Catholic sentiment following the controversial Maynooth Grant of 1845. 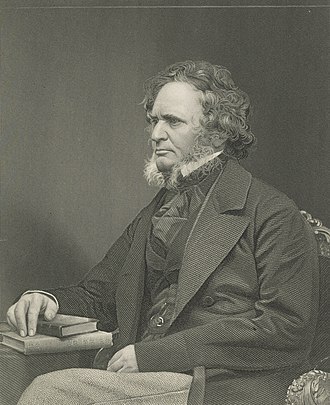 After the outbreak of the Great Irish Potato Famine, his decision to join with Whigs, Peel remained an influential backbench MP and leader of the Peelite faction until his death in 1850. 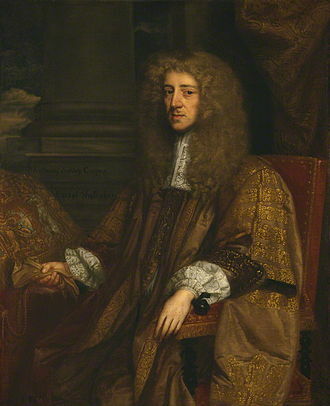 Peel often started from a traditional Tory position in opposition to a measure, reversed his stance, Peel, a Conservative, achieved repeal with the support of the Whigs in Parliament, overcoming the opposition of most of his own party. Many critics accordingly saw him as a traitor to the Tory cause, or as a Liberal wolf in sheeps clothing, taylor says, Peel was in the first rank of 19th century statesman. 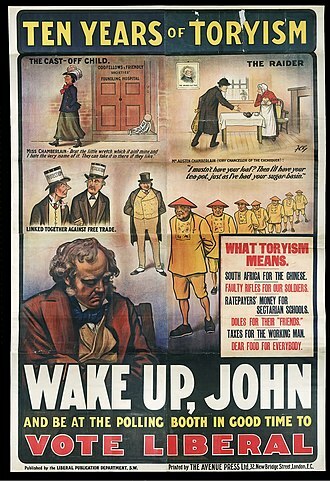 He carried Catholic Emancipation, he repealed the Corn Laws, he created the modern Conservative Party on the ruins of the old Toryism. Peel was born at Chamber Hall, Lancashire, to the industrialist and parliamentarian Sir Robert Peel, 1st Baronet and his father was one of the richest textile manufacturers of the early Industrial Revolution. 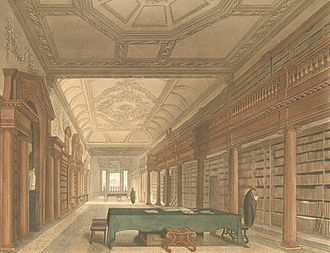 Peel was educated briefly at Bury Grammar School, at Hipperholme Grammar School, at Harrow School and finally Christ Church, Oxford and he was a law student at Lincolns Inn in 1809 before entering Parliament. Peel saw part-time military service as a Captain in the Manchester Regiment of Militia in 1808, Peel entered politics in 1809 at the age of 21, as MP for the Irish rotten borough of Cashel, Tipperary. With a scant 24 electors on the rolls, he was elected unopposed and his sponsor for the election was the Chief Secretary for Ireland, Sir Arthur Wellesley, the future Duke of Wellington, with whom Peels political career would be entwined for the next 25 years. Pieter Christoffel Wonder – The Staircase of the London Residence of the Painter – Centraal Museum Utrecht (the figure identified as Goderich on day of his resignation as Prime Minister). 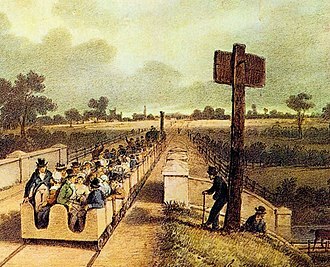 1830 engraving by H. W. Bond, fl. 1827–1849. 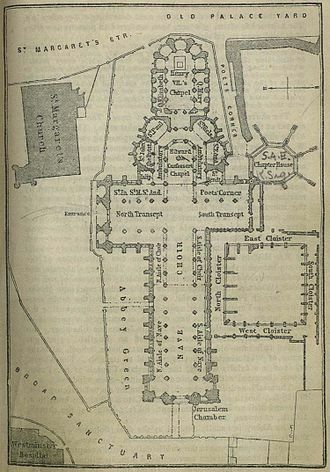 Gladstone's Hawarden Castle circa 1880. The Earl of Iddesleigh by Edwin Long. 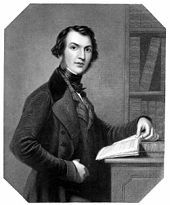 Portrait of Gladstone by Thomas Gladstones, circa 1830. 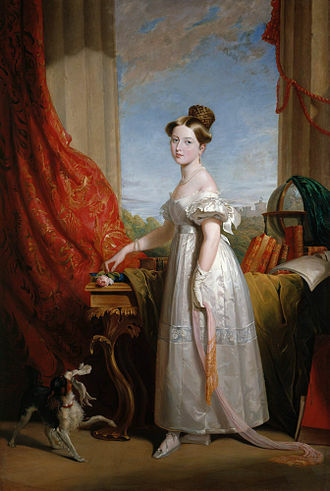 Portrait of Lord Dalhousie by John Watson-Gordon, 1847. "Submarine Telegraphs", caricature by Spy in Vanity Fair, 1908.